To maintain a wet-look shine on finished floors. Easy-to-Use fingertip controls and multiple safety features handle can be operated on locked position or allowed to float. 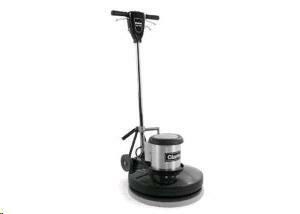 Wheels, Non marking Grey 2-5"
* Please call us with any questions about our floor polisher 20 inch hs elect rentals in Sacramento and Citrus Heights, serving Auburn, Placerville, Woodland, Davis, and Elk Grove in the Sacramento area.